First, there’s the personal Kua number that tells us what our lucky directions are. Then, there’s the Bagua Map of a house where each direction represents an aspect of our life. Also, a typical feng shui consultant will use a Luo Pan, with a compass needle in the middle, to do his feng shui reading. These directions are later used to determine the auspicious directions for your front door, bedroom, toilet, kitchen stove, and many more. Well, I asked that question, and that’s why I’ve produced this blog post. Feng Shui is supposed to improve our well-being and bring us luck so the events happening around us will benefit us. So I wondered how these are achieved by adhering to the rules on the eight cardinal directions. I did some research, looking for how directions can influence us. In summary, what I found was that we are influenced by the Earth’s magnetic fields without us knowing. Although I think many of these scientific researches I’ve linked to are still inconclusive, I’m still presenting them here because I want to stimulate your thoughts. Towards the end, you will find my hypothesis and theories that attempt to answer why feng shui is so big on directions. Feel free share your thoughts by commenting below. The eight cardinal directions we have – North, South, East, West, Northeast, Northwest, Southeast, Southwest – derive from the Earth’s magnetism from the poles. The magnetic force is what allows the compass of a Luo Pan to point towards the North and South poles. 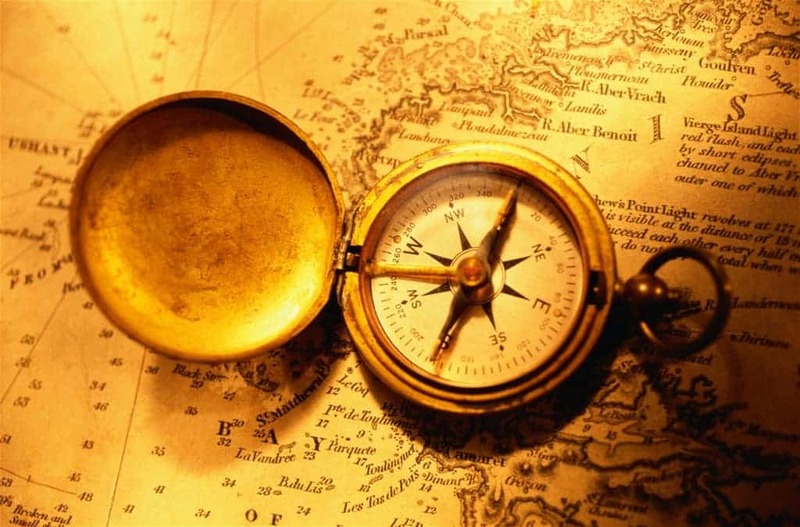 Some even say that the ancient Chinese invented the compass for Feng Shui purposes instead of navigation purposes. 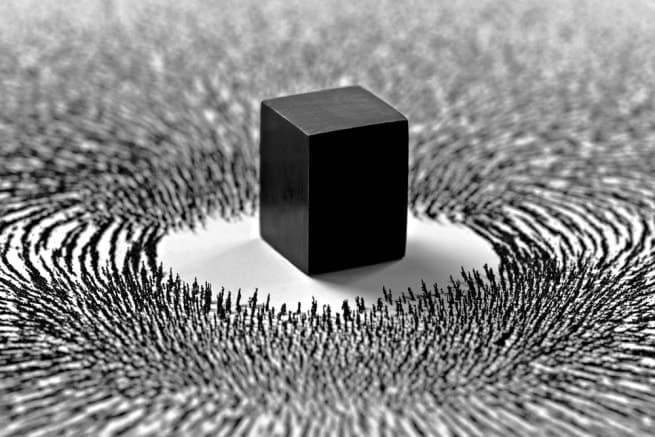 When I first played with a magnet, I thought only metallic objects are subject to magnetic force. However, I found that metals are not the only objects that respond to magnetic force. Everything else, such as wood, plastic, and water, respond to magnetic forces too. That’s because all properties have diamagnetism, a weak repulsion from a magnetic field that cannot be observed by everyday life. If the magnetic force is strong enough, it can be used to levitate objects, such as a frog. This shows that living beings have magnetic properties that’ll respond to magnetic forces. The video below shows a frog being levitated using a 10 tesla magnetic coil. Although all objects respond to magnetism, the Earth’s north-south magnetic force is not strong enough to move us against our will like the frog above. How else, then, do living beings respond to the magnetism of the Earth? Many animals can sense the Earth’s magnetic field. Scientists have uncovered that some animals use it for navigation, while other animals have left researchers scratching their head. Researchers have found many animals have magnetic detectors. Among them are turtles, rodents, insects, bats, and even deer. Though researchers have yet to decide how many of these animals use their magnetic sense, most agree that pigeons and dolphins use it as their GPS navigation system. For dolphins, it helps them with their migration routes. For pigeons, it helps them find their way home (and deliver messages in ancient times). Here’s a surprising study. Research has shown that dogs prefer to poop with their bodies aligned in the north and south direction and avoided facing east and west. The study was conducted by German and Czech researchers who spent two years watching 70 dogs as they conducted their restroom business. 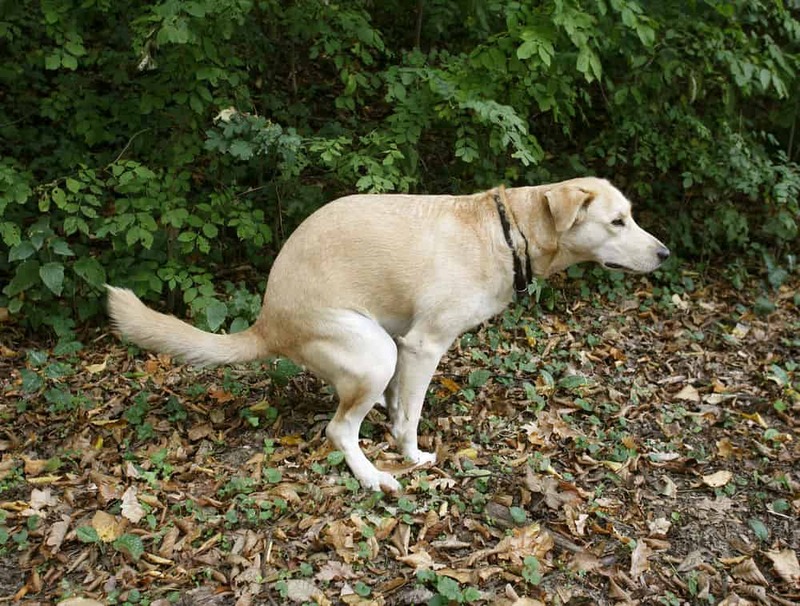 Scientists have observed that dogs poop along the North-South magnetic lines. In terms of urination, they found that females exhibited a similar preference but not their male counterparts. This behavior was reinforced when the dog’s north-south orientation was less predictable when the Earth’s magnetic field was influenced by solar flares or geomagnetic storms. Here’s another surprising observation. Researchers using Google Earth have found that cattle and deer face the north-south direction when grazing and resting. The study was based on 8,510 cattle in 308 locations and 2,974 deer from around the world. Factors that’ll prevent them from facing north-south include extreme weather, such as strong wind and sunlight. 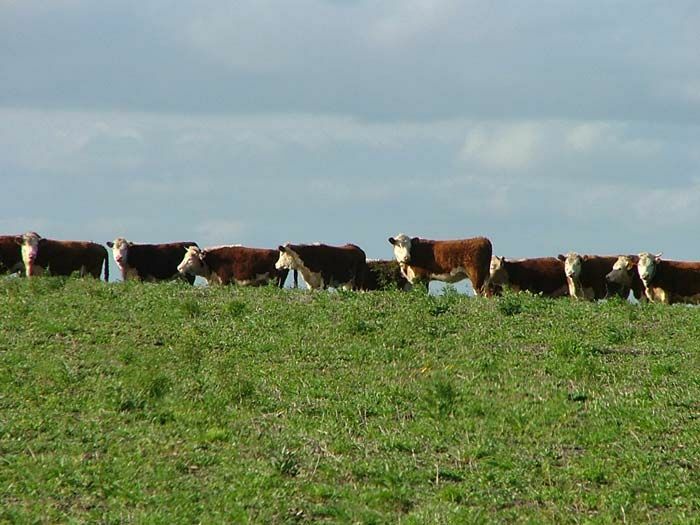 Scientists have observed that cattle align north-south while grazing. This observation raised another question for farmers. Could cows produce more milk if they are kept facing the north-south direction? Animals adjust their behavior according to the Earth’s magnetic field, maybe without them knowing. The same may be true for humans. According to Lauren Foley from the University of Massachusetts Medical School, our human bodies have proteins that can act as magnetic sensors. The experiment placed human proteins (Cryptochrome) that act as magnetic sensors in flies. The experiment was used on mutant flies, where their natural magnetic sensors were removed and replaced with human proteins that can act as magnetic sensors. After the replacement, the mutant flies were able to sense and feed according to magnetic forces. A research conducted by Robin Baker drove blindfolded subjects around and asked them to point to the direction of their house. Most of them did so accurately until a magnet was placed on top of their head. However, the experiment could not be replicated by other researchers, and I believe (and most researchers would agree) that we are not capable of navigating without landmarks. I believe we do NOT have built-in GPS navigation in our bodies. 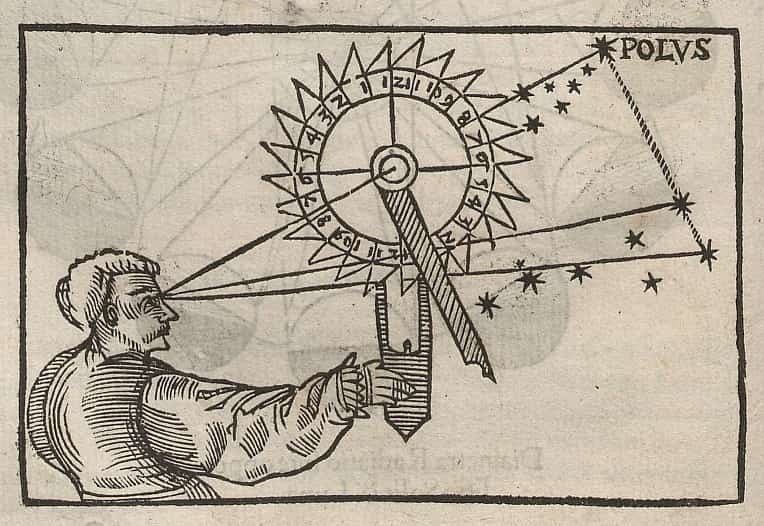 Our predecessors used stars as “landmarks” to navigate across the Earth. Scientists have found that they can alter your moral judgments by sending magnetic pulses to specific areas of your brain, rendering you unable to tell the difference between right and wrong. This seems logical, because our brains communicate internally using synapses which can be distorted by electrical currents. In 1994, a study was published suggesting a 36.2% increase in the number of men admitted into a hospital for depression in the second week after geomagnetic storm. 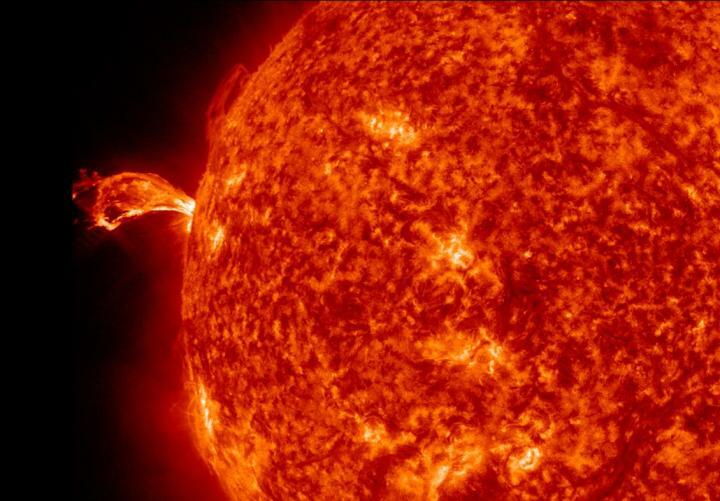 A solar flare is one of many events that can cause a geomagnetic storm. Kelly Posner, psychiatrist at Columbia University, offered an explanation. The pineal gland, which regulates circadian rhythm (our biological internal clock) and melatonin production (hormone associated with the reproductive cycle), is sensitive to magnetic fields. Magnetic fields can desynchronize our circadian rhythm, which can lead to depression and suicides because our hormone production and biological clock are disrupted. One interesting study shows that heart rate and blood pressure can be influenced depending on which direction you lay your head in bed. The study results show that the subject’s heart rate is lowest when they lay their head towards the north and highest towards the south. On the other hand, blood pressure was lowest in north and significantly higher in the west. The study suggests that lying down with head in different directions has a definite effect on heart rate and blood pressure. Another set of data also supports how magnetism affects heart rate. Hospital data on heart rates from the fetuses of 6,000 pregnant women (1995 to 2003) shows that periods of disturbances in heart rate coincided with periods of high geomagnetic activity. These studies suggest that magnetic forces and Earth’s magnetic poles definitely have some influence on us that we are not aware of. Now, let me try to tie these research together with feng shui. Knowing that many things (not just metal) respond to magnetic force, could it be possible that feng shui’s Qi also respond to magnetism? What about us humans and our preferred sleeping areas in a house? Imagine Qi in the form of particles that are carried aimlessly by the Earth’s wind like dust. Once your front door opens, they enter your home. The Qi particles include those that’ll improve our relationship, career, health, as well as those pollutants and toxic particles from automobile exhaust and from other man-made feng shui hazards. 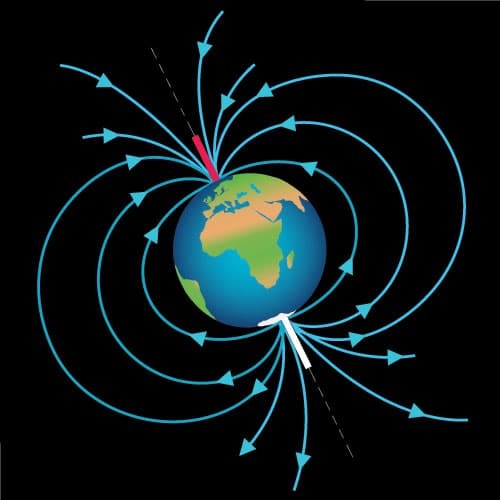 Depending on how the particles react to the Earth’s magnetic field, they will slowly move into certain areas of the house, depending on how they are being attracted by the eight cardinal directions. Once they move to those areas, they will get trapped there by the ceiling and walls of the house. Perhaps the Qi particles of love and relationship would end up in the Southwest whereas the Qi that improves career will move to the north. As more Qi enters the house over time, the strength of the feng shui energy will grow to have a bigger impact on our lives. The way these particles respond to magnetism may be similar to how dust responds to gravity or how magnetic dust responds to a magnet. They settle in a specific area according to the magnetic field. When you or your pets move around the area, the Qi gets scattered around like how dust gets flown into the air, only to settle in the same area at a later time. My theory is that Qi may respond to magnetism the same way magnetic dust responds to magnets. Then, we absorb these particles. We may breathe it, or it can just enter our body and get absorbed on a cellular level like chemotherapy. Of course, this is just my own theory. Tell me what you think using the comments below. This is based my own theory again and what I think of the lucky and unlucky directions as dictated by our Kua number. We know that we are unique in our own ways. We’re unique not just in the way we think, but also how we behave and make decisions. Also, our body responds differently to food (allergic reactions), the sun (how easily we get tanned), and so forth. Using the same logic, it is likely we respond differently to magnetic forces. This helps explain why each of us have a different Kua number with different lucky and unlucky directions. “Imagine a small square house in the middle of a wide open field covered with green grass. There are no visible mountains, hills, trees, or roads around. Inside the house is an empty space with walls painted in white. 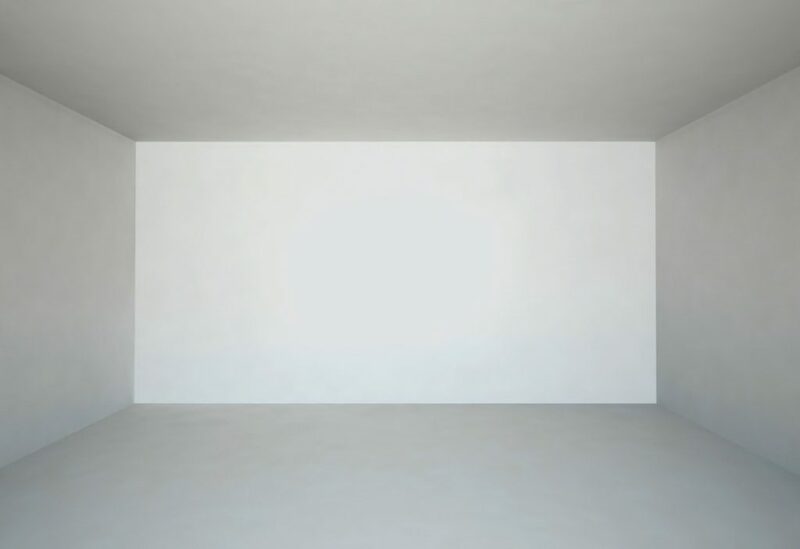 There is no kitchen, restroom, or any interior walls that divide the empty space into smaller rooms. The empty space may be the size of your living room, and the walls that separate you from the outside have neither doors nor windows. Now imagine yourself inside that house. Where would you pick as your sleeping area? Would it be a corner or the side of the wall? Would it be the north, south, east, or west side of the house? More than likely, you will pick a corner that you feel most comfortable, whether it is for work, sleep, or other activities. If not, you will pick another corner to test it out. Chances are that the area you find most comfortable will be the area associated with your lucky direction. Imagine if you have to stay in this room as-is. The resting place you pick could be your lucky direction based on your Kua. In short, I believe that our mind and body respond to Earth’s magnetism in some way. But because of our habits, living standards, and intelligence, we cannot connect with magnetism the same way animals do. Perhaps this is where feng shui directions come in? The ancients probably knew something that science has yet to uncover. Though directions are big in feng shui, it is not everything because there are many instances where other feng shui factors should be prioritized. Take the feng shui of the front door as an example. If you live with a front door facing a T-junction, the incoming Qi from the road is too fast and too strong and causes bad feng shui, no matter which direction it is coming from. If you’re seriously looking to have feng shui improve your life in a sustainable way, I suggest you find a consultant near you that can take a look at your house and identify what needs to be cured. Just remember to always get a second opinion because not all feng shui masters read feng shui the same way. What do you think about feng shui directions? Please share your thoughts using the comment below! I enjoy reading all your articles, as they are interesting,informative and helpful.t hey provide me with a strange knowledge which I can apply to my interior decorating projects and garden landscaping ventures.feng shui principles applied consciously can definitely be to your advantage and one can learn them at any stage in life. Thanks Sophi! I’m glad you found them helpful!! Hi Victor. Great read! If husband’s lucky direction is wife’s unlucky direction, whose direction should their new house be? Read to the end, because the house has its own Kua! These personal directions are just a way to mitigate IF the bedroom, kitchen, and front door locations are not in the best locations based on the house Kua.